A friend of mine asked for some ideas on where to take his girlfriend out for a date in Harrisburg, Pennsylvania. I sent the question to my co-workers and this is what they came up with below. Let me know if you have any other ideas. Susquehanna Art Museum : http://www.sqart.org/ From there you could walk a few blocks for a nice dinner. Really good restaurants that I would recommend in the area: Skewers on Second Street: http://www.skewersgrill.net/ (right by Ceoltas) has excellent middle eastern food; Aangan: http://www.aanganindiancuisine.com/ (Indian cuisine) on Progress, Garrison’s tavern (europena/american) on Forrester), Okini that serves Pan-Ameican food:http://www.dineoutharrisburg.com/okini/ – anything from Thai to Sushi. Take her horseback riding that’s always super fun. · Go on a hike up to Hawk Rock and already have a picnic set up there for the two of you to enjoy the view, it’s really nice. Definitely make sure at least one date includes a walk along the river. Dinner at Bayou ar Sammys, followed by a stroll to city island to catch a Senators game or show off your skills in the bating cages. Dinner at passage to India, then a ride on a bicycle rickshaw around down town, then drinks at fisaga or the fire house. 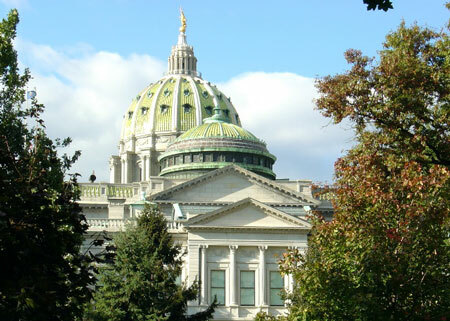 Lol… One co-worker said the best thing to do in Harrisburg is to take them to Philly!